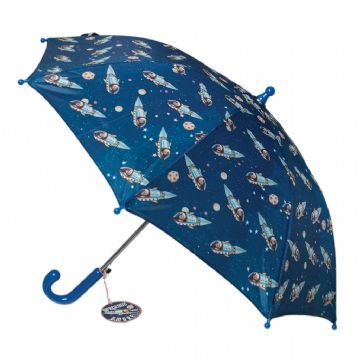 Spaceboy children's umbrella - spacekids - space toys, dressing up costumes, kids spacesuits, astronaut food, cool space stuff! Spaceboy design childrens spring loaded umbrella. 8 spoke Metal framework, Plastic handle and top, waterproof material. Diameter 70cm.